Over the past few weeks, when I had a couple of hours free at the end of the day, I would watch Ken Burns's 2009 six-part documentary: The National Parks: America's Best Idea. When I was 18 years old, I spent four weeks backpacking in Lassen Volcanic National Park. The next summer I spent four weeks backpacking in Sequoia & Kings Canyon National Parks and a week in Yosemite National Park. Both were asspoicated with a field biology class I took at Fullerton College. My professor the first year was Mark Parret, a botanist, while my professor the second year was Alan Schroner, a zoologist. It was through these two experiences and men that I developed my love affair with backpacking, the study of flora and fauna, and the National Parks. Burn's program made me think back on all for the Park, National Forest and wilderness experiences I have had and will yet have. I hike and backpack still to this day. I still plan my annual hiking/backpacking events, key to my work vacation / days off. 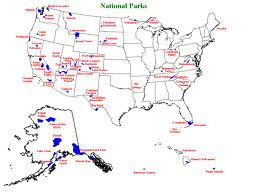 I have been to National Parks and National Forests through the West, some in the Midwest, East and South including a number of Revolutionary War and Civil War sites. My love is in the West. I live in Utah and have been to all of the National Parks and Monuments in Utah on multiple occasions, almost always with at least one family member: Arches, Canyonlands, Glen Canyon, Natural Bridges, Rainbow Bridge, Bryce Canyon, Zion, Cedar Breaks (probably 50 times), Timpanogos Cave, Dinosaur, Golden Spike, Hovenweep, Pony Express, Capital Reef and Grand Staircase-Escalante (these last two are my favorites). As I watched the documentary, I knew I was being bombarded by liberal commentary; i.e., Sierra Club, The Wilderness Society, etc. I am sure that just about all of those involved in the film are politically Democratic. So, just like listening to NPR, I watched knowing the political bias of the interviewees. I am convinced the National Parks turned out to be one of Americ's great idea, just below the Constitution. I wonder if left alone, without federal government involvement, what would have happened to these locations? They'd still be there but they would mostly likely would be marred by commercialism. When a National Park is set aside, it automatically places it on millions of people's radar -- a place they need to visit. Most people will never visit these locations. When the Parks were created in Alaska, President Carter did it unilaterally, invoking the Antiquities Act, just like other Presidents have done. It created an uproar in Alaska. When President Clinton did this in Utah in 1996 and created the Grand Staircase-Escalante National Monument, there was also an uproar. The residents felt the government was stealing what was not theirs to begin with. But these designations do is create awareness and tourism that did not exist prior. It adds budgetary requirements to support them -- through higher taxes. Most few people who visit Parks and Monuments, are car visitors. They see the highlights as determined by the infrastructure and guidebooks. Visits are measured in hours, not days. People tend to be one-trip Park baggers, then onto the next one. It was sad to hear the comments of some of the interviewees talking about their visits and life-long memories. Because most of these people live in the East and in urban/suburban settings, these visits are once or twice in a lifetime. For me and my family, these are multiple visits each year. That's why we live where we live. Most people will never see these places. For them, America consist of the little community they live in: the same work, places to shop, TV programs to watch, places to eat, activities to do. Yes, America is much more. I am not sure if I want them to see these places because it tend to spoil it for the locals. Crowds at the visitor's centers, on the hiking trails, in the rivers, in the backcountry are not things I want to see more of. What The National Parks: America's Best Idea caused me to think about is how can I, as a libertarian -- one who believes in less, government and low taxes -- and as a lover of nature, reconciles with the traditional environmentalist? I would love to participate in environmental causes but I would be a cast-off in their presence: the Sierra Club, The Wilderness Society and the Southern Utah Wilderness Alliance would not have me. Maybe Ducks Unlimited might have me? As shown in this film, for many of these people, this task of creating National Parks and the National Parks Service was a religion. I have a religion and it is not environmentalism, though I love wilderness. This is my dilemma.